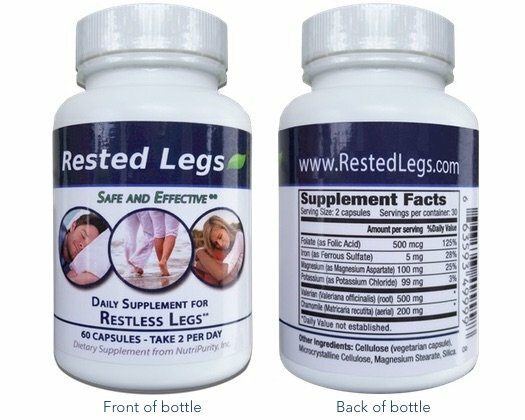 Research studies conducted over the last decade indicate that people who suffer from Restless Legs Syndrome (RLS) may have as much as twice the risk of stroke or heart disease as those who don’t have RLS. Researchers say that those individuals who have the most severe RLS symptoms are at the highest risk. The studies have not been able to identify a cause-and-effect relationship between cardiovascular disease and RLS. However, new evidence suggests that people with RLS are more likely to suffer from a condition known as left ventricular hypertrophy, a hardening of the arteries in the heart muscle that increases the risk of heart disease and stroke. Some researchers also suspect that the sleeplessness associated with RLS could contribute to an increase in incidents of cardiovascular illness. “The direct data would suggest that the disrupted sleep and arousals that occur with RLS are really what’s contributing to hypertension and heightened autonomic nervous system activity, which in turns leads to cardiovascular [problems],” says Dr. David Rye of the Emory University School of Medicine, referring to the results of a study conducted by Emory in 2008. Refrain from drinking alcohol and using tobacco products. Alcohol use and nicotine consumption both pose cardiac health risks and also can exacerbate the symptoms of RLS. Regularly engage in light-to-moderate exercise. RLS patients should avoid exercising shortly before bedtime. Establish a regular sleep routine in a quiet, comfortable, climate-controlled environment. Eat nutritionally balanced meals that include plenty of fruit and vegetables. Obesity contributes to a higher risk for heart disease and stroke, can increase blood pressure and has been shown to aggravate many of the symptoms of RLS. Get regular medical checkups to evaluate your overall health and to keep tabs on your blood pressure. Engage in stress-reducing activities such as yoga, massage, mindfulness, and meditation. RLS symptoms worsen when you are stressed out and anxious. Studies show a correlation between increased stress and a higher risk of heart disease. Researchers do not know if a cause-and-effect relationship exists between RLS and heart disease. However, because RLS sufferers are more likely to have cardiovascular problems it is important to get regular checkups and enjoy a healthy nutritional and physical lifestyle to minimize the risk.